Ayacucho ([aʝaˈkutʃo], Quechua: Ayacuchu), is the capital city of Huamanga Province, Ayacucho Region, Peru. Vestiges of human settlements more than 15,000 years old have been found in the site of Pikimachay, about 25 km north of Ayacucho. From 500 to 900, the region became occupied by the Wari culture, which became known as the first expansionist empire based in the Andes before the Inca Empire. The Ayacucho region was inhabited by varying indigenous cultures for thousands of years, including the Wari, Chanka people, and Nazca culture before the Inca conquest. The Spanish colonial founding of Ayacucho was led by conqueror Francisco Pizarro on April 25, 1540, who named it San Juan de la Frontera de Huamanga. Due to the constant Incan rebellion led by Manco Inca Yupanqui against the Spanish in the zone, Pizarro was quick to populate the settlement with a small number of Spaniards brought from Lima and Cusco. On May 17, 1544, by Royal decree, Ayacucho was titled La Muy Noble y Leal Ciudad de Huamanga (the most noble and loyal city of Huamanga). 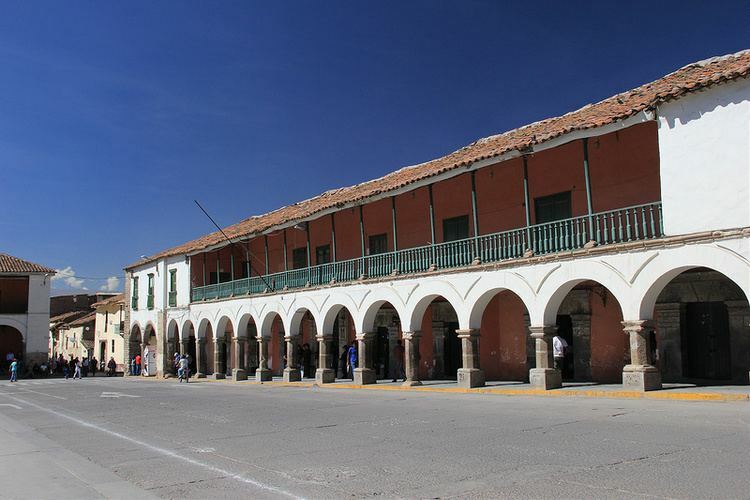 The city's main University was founded on July 3, 1677 as San Cristóbal of Huamanga University. On February 15, 1825, Simón Bolívar changed the city's name to Ayacucho. The city is named after the historical Battle of Ayacucho. Upon seeing so many casualties on the battlefield, citizens called the area Ayakuchu, aya meaning "dead" and kuchu meaning "corner" in Ayacucho Quechua. The Battle of Ayacucho was the last armed clash between Spanish armies and patriots during the Peruvian War of Independence. The battle developed in the nearby pampas of La Quinua on December 9, 1824. Independentist forces were led by Antonio José de Sucre, Simón Bolívar's lieutenant. Viceroy José de la Serna e Hinojosa was wounded, and after the battle second commander-in-chief José de Canterac signed the final capitulation of the Royalist army. The patriot victory sealed the independence of Peru and South America. La Paz, now the seat of government of Bolivia, was similarly renamed La Paz de Ayacucho following this battle. The city's economy is based on agriculture and light manufacturing, including textiles, pottery, leather goods, and filigree ware. It is a regional tourism destination, known for its 33 churches built in the colonial period, and for the nearby battlefield of La Quinua, where the Ayacucho battle was fought in 1824. In 1980, the insurgent organization known as the Shining Path (Sendero Luminoso) used Ayachucho as its base for its campaign against the Peruvian government, even staging an assault on the Ayacucho prison in 1982. The campaign faded after the leader Abimael Guzmán Reynoso was captured in 1992 and put in prison. The region headed by Ayacucho is rural and one of the poorest of all the country. With the peace of the last 15 years, the citizens work hard to improve the living conditions and attract jobs. María Parado de Bellido, heroine in War of Independence. Efraín Morote Best, anthropologist and university president. Alberto Arca Parró, economist and lawyer. Augusta la Torre, leader in the Sendero Luminoso movement.